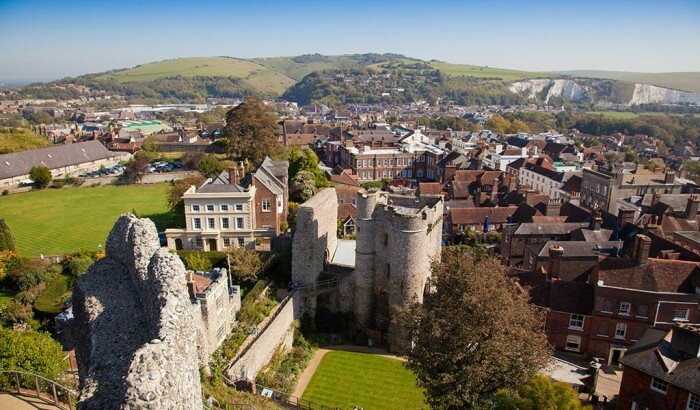 The town of Lewes is a popular tourist destination and dates back to before the Domesday Book. The narrow alleyways called ‘twittens’ are said to be Saxon and appear unchanged by the centuries, making the town a fun place to explore. Nestling on a spur beside the River Ouse as it meanders through the South Downs to Newhaven, Lewes has been a busy port for many centuries and is home to the famous Harvey’s Brewery. It has a rich history with a good number of listed buildings. For shoppers, Lewes offers an impressive range of speciality shops, galleries and antique emporia, with a good selection of restaurants, cafes and pubs. 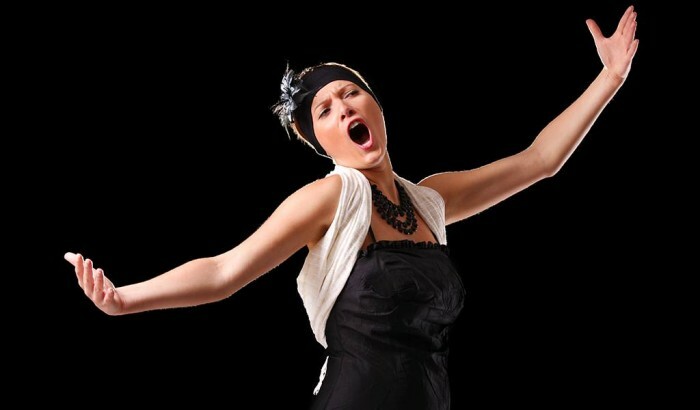 Lewes has a busy year-round calendar of artistic, musical and theatrical events. Summer highlights include swimming in Pells Pool, the UK’s oldest fresh-water lido, and paragliding off nearby Mount Caburn. On November 5th, Lewes celebrates the UK’s largest Guy Fawkes Night, an extraordinary pageant and spectacle that embraces the entire town. It really has to be seen to be believed! 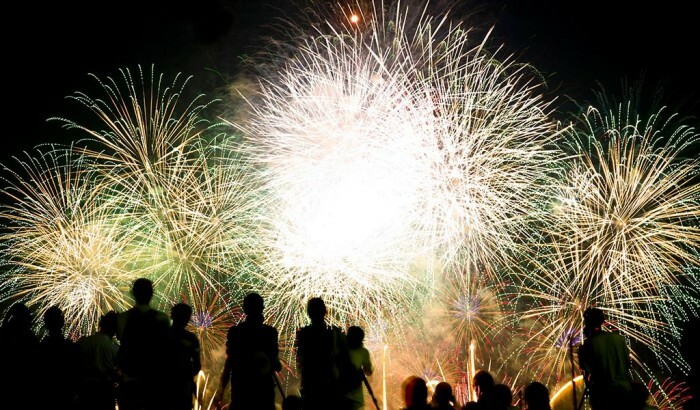 The views from Skyhouse over the entire town take in the numerous firework displays and are quite exceptional – book early to avoid disappointment! Lewes’s excellent weekly food market, every Friday 9.30am – 1.30pm at Market Tower near The Needlemakers. 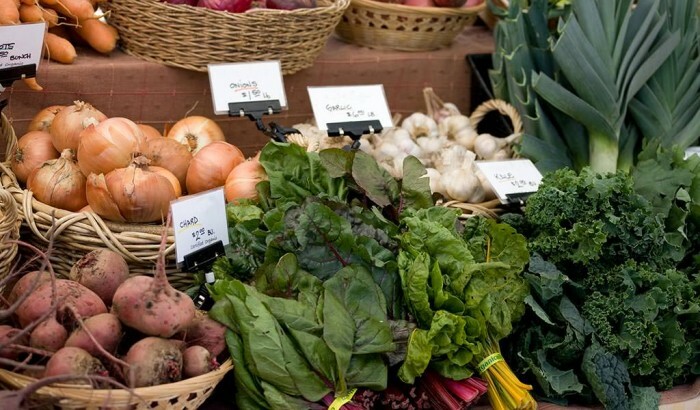 The market is the first project of the Lewes Local Community Interest Company which is a not-for-profit company with the broad aims of developing sustainable local food systems and making it easier for more people to buy good, healthy, seasonal food. Foodies take note! Lewes Priory was founded in 1077 by William de Warren and his wife Gundrada, and richly endowed by them and became very wealthy. It was the first Clunian Foundation in England. The church was 420ft long by 69 feet wide, a whole host of eminent men became Priors of Lewes. Eventually in 1537 the Priory was demolished by an Italian Engineer on the orders of the Royal Vandal Henry VIII. Today the Ruins make for an atmospheric stroll, and there is a playground for children in neighbouring Convent Fields. The world-renowned opera house of Glyndebourne is just 15 minutes’ drive from us. The Festival runs from March to September and is not to be missed if you want to experience world-class opera in quintessentially English surroundings. 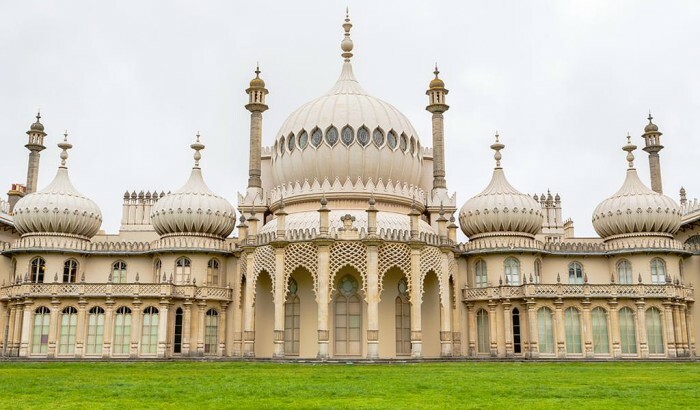 Iconic home of the ultimate ‘party Royal’, the Prince Regent (later King George IV), The Royal Pavilion is an extraordinary and opulent pleasure palace in the centre of Brighton. Built in stages between 1787 and 1823, the Royal Pavilion is remarkable for its exotic oriental appearance both inside and out. This magnificent royal pleasure palace was revered by fashionable Regency society and is still a distinctive landmark for vibrant Brighton & Hove today. The Royal Pavilion is also home to some of the finest collections and examples of the chinoiserie style in Britain. A 625 acre farm with its shop that stocks a wide range of organic and home-produced meat, home-cured bacon and hams, seasonal venison, pheasant, wild boar and game, a large selection of pickles, sauces and chutneys, fruit and vegetables and other fresh produce including 50 different varieties of British cheese and 20 different varieties of sausage. 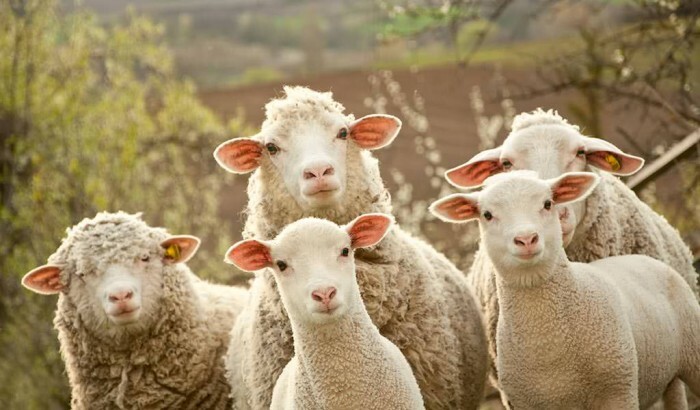 Great for kids as you can walk round the farm and interact with farm life and animals. On the A27 towards Eastbourne. A unique and fascinating house and country retreat of the artists, writers and intellectuals who became known as the ‘Bloomsbury Group’. Charleston was the home of the English painter, Vanessa Bell and her unconventional family. Don’t forget to visit Berwick Church, where the work of Vanessa Bell and Duncan Grant can be seen in the beautifully painted biblical scenes, which adorn the interior walls. Virginia WooIf`s country home situated in the village of Rodmell. There’s a lovely walk along the river which brings you back to Lewes.